Gregory S. Nixon, DynCorp International Inc. When Gregory S. Nixon was courted away from DynCorp International Inc. to be the chief legal officer (CLO) of global engineering company CH2M Hill Companies Ltd, Nixon had no reason to believe that he would be recruited to work for the private equity firm that owns DynCorp International (Cerberus Capital Management) ten months later. 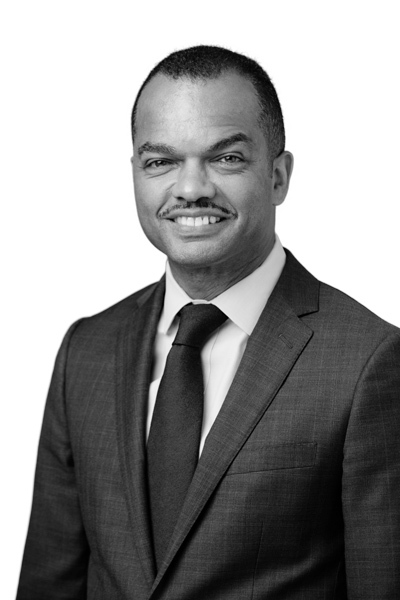 He already had blazed an impressive career path as a lawyer, having served in senior roles at McKinsey and Company, Booz Allen Hamilton, the Cerberus Operations and Advisory Company Board of Directors, and other leading firms. But the skills he honed along the way would be put to the test when Cerberus asked that he help transform DynCorp International—utilizing not only his legal prowess, but also his business and operational acumen. When Nixon joined Cerberus in 2014, his business, management, and legal skills from his prior experiences were perfectly suited for his new mission: to serve as the senior vice president and chief administrative officer (CAO) of DynCorp International and lead the strategic transformation of several key functions and commercial ventures around the world. DynCorp International is a global integrated service solutions provider focused on aviation, intelligence, logistics, consulting, construction, and operations. It operates in thirty-three countries, has forty-five legal entities, and has thousands of employees around the world. Throughout his legal career, Nixon had steered his corporate clients through a variety of legal and business complexities. Acquisitions, government investigations, media storms, and virtually anything that might come across a general counsel’s desk on a bad day, Nixon probably has seen more than once. So, it was no wonder that DynCorp International, facing dramatic reductions in its revenue, increased competition, and a long list of legal issues, needed Nixon’s legal skills and business acumen to bring the company back to the strong footing it is on today. In his current business executive role, which grew to include chief legal officer and corporate secretary, Nixon oversees a team of 175 employees and leads all aspects of legal, contracts, compliance, human resources, supply chain, security, export controls, and crisis management. Nixon manages a complex set of legal issues across the globe, while maintaining focus on the business realities of a highly regulated company fraught with global complexity. The company employs a global workforce and deals with complex litigation and government investigations, congressional interest, government funding, shifting political sands, geopolitical risk, and massive government oversight. It is also both owned by private equity investors, yet answers to the public through SEC filings. In the time he has been back, Nixon has steered the company through a minefield of potential problems, including high-stakes litigation, investigations, substantial organizational restructure, a successful debt-refinancing, better credit ratings, streamlined corporate structure, and strategic growth. During his tenure, Nixon has served as chief legal officer and advisor to three CEOs. Indeed, Nixon himself, with his dual-hatted role, exemplifies the blending of the business and legal solutions that have brought DynCorp International to its present state of profitability and growth. Organizational integration is also critical because Nixon’s teams are spread across multiple continents where the cultural norms can differ dramatically. It’s his job to get his teams on the same page regarding company protocols and to make sure that employees working in different cultural climates still adhere to the US-based business’ rules, regulations, and policies. In addition to integrating his teams, Nixon embraces hands-on leadership as another tactic to manage his vast array of responsibilities. As a retired lieutenant colonel and judge advocate general in the US Air Force, Nixon has experience operating in austere environments and geographic areas where the safety conditions could change at a moment’s notice. Despite the potential risks of going to areas of instability around the world, Nixon says the practice greatly enhances his ability to lead his teams. Nixon wants to utilize his influence to continue to promote diversity within the company. In fact, he has already spearheaded creating a summer legal internship position that focuses on giving candidates from a wide variety of backgrounds exposure to DynCorp International’s in-house legal function. It’s this type of hands-on leadership that is transforming how people within the organization and beyond perceive the role of chief legal officer. Today, Nixon is as much a business executive as he is a chief legal officer. And even as DynCorp International moves systematically toward profit and growth while maintaining excellent customer relations and rigorous compliance, the impact of Nixon’s leadership is evident throughout the company. Sometimes, inhabiting the C-suite isn’t enough to be an effective leader, says Gregory S. Nixon. He is a vocal advocate for business leaders to serve on boards of directors whenever possible because he says that the experience gives them a unique view of business that they don’t get from their other roles. Nixon served on the board of directors of BlueLinx Holdings Inc., where he served on the Compensation Committee and Governance Committee. Currently, he serves on the board of the University of Maryland University College Ventures, where he is focusing on fundraising for the organization, which aims to make a positive economic impact by helping entrepreneurs commercialize their discoveries. Previously, he has been on boards for the Thurgood Marshall Scholarship Fund and the National Inventors Hall of Fame. “Being on a board enhances your strategic view and governance experience, and it also informs your ability to understand business challenges, whether those challenges are in the public or private sector,” Nixon says. Jackson Lewis P.C. is a law firm with more than eight hundred attorneys in major cities nationwide serving clients across a wide range of practices and industries. Having built its reputation on providing premier workplace law representation to management, the firm has grown to include leading practices in the areas of government relations, healthcare, and sports law. The firm’s commitment to client service, depth of expertise, and innovation draws clients to Jackson Lewis for excellent value-driven legal advice. Greg exemplifies how a top in-house attorney is also a business leader. Outside lawyers working with Greg know that he is always focused on the practical implications of a legal issue. He applies his business savvy to our legal advice to reach the best outcomes for DynCorp. Wilson Elser is a full-service law firm with nearly eight hundred attorneys in thirty-four offices nationally. Founded in 1978, it is ranked among the top fifty law firms by The National Law Journal and, as a founding member of the Legalign Global Alliance, provides clients with ready access to legal resources internationally.